Safety- The Parker Tube Bundle is Extremely Flexible and Offers a Long Life With a 20 Year Warranty Against Thermal Shock. Large Heating Surface Provides Increased Efficiency and Minimizes Chances of Scaling. Compair Ours to The Competition. Simplicity- The Atmospheric Burner System and Entire Boiler Are Furnished so That it is Simple to Operate with No Blowers, Complicated Controls or Burner Adjustments. Ease of Inspection and repairs- Retubing does not Require Special Tools, Skills or Welding as with Rolled Tubes. Ease of Inspection- Cabinet Doors are Removed in Minutes making the Steam Drum, Tubes and Burner Accessible. Easy-to-Remove Gasketed Access Plugs Are Provided at Bothe Ends of ea. Tube for easy Inspections. 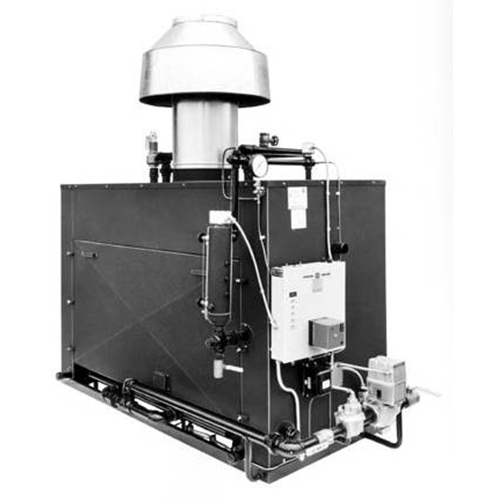 All Parker Boilers are Manufactured in Accordance with the ASME Power & Heating Boiler Codes and Registered with the National Board of Boiler and Pressure Vessel Inspectors.